Note – somehow, this was originally published halfway done. I’m blaming hubs and his Internet tweaking ways. 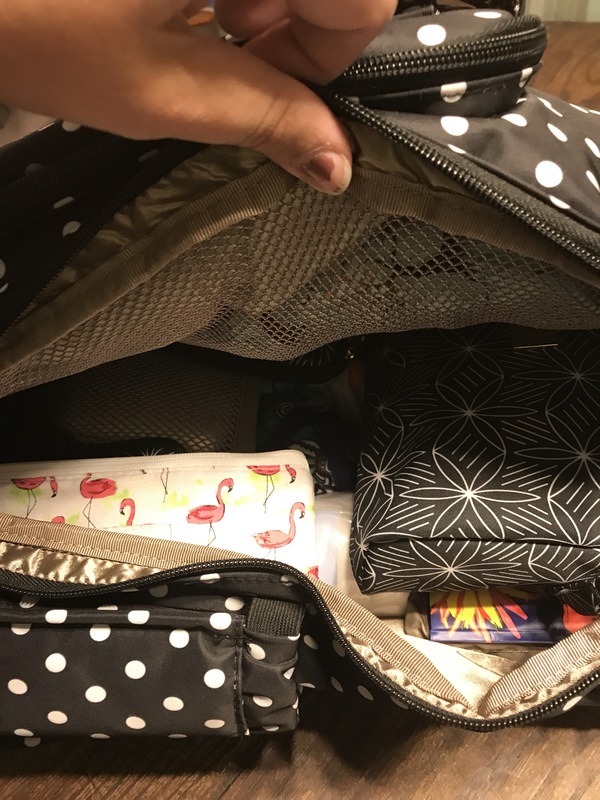 A few weeks ago I did a review on three different diaper bags that I own. 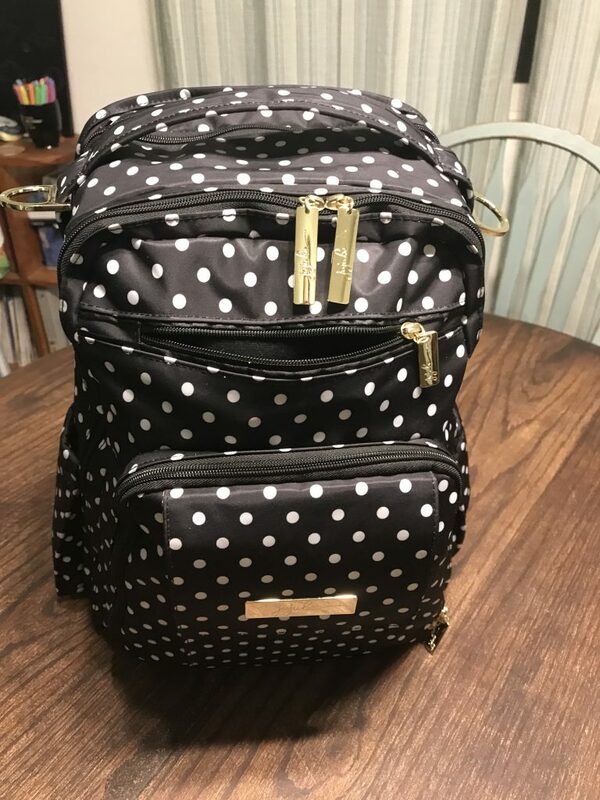 I have been searching for the perfect diaper bag for those long days at Figure Skating Competitions, plane trips and those random full days out. Afterwards, a friend lent me her Ju-Ju-Be BRB in the TokiDoki print to test for a weekend. I was hooked and decided to get one for myself. Hubs is pretty print averse, so I had to select one that wasn’t bright and crazy. That’s okay, I tend towards classic styles and patterns anyways. Originally, we were going to get The Knight Stars, but our favorite retailer’s shipment came in too late and so we nabbed a Duchess print that they had in stock! I also grabbed a Be Set case in The Knight Stars print. We tested our BRB out during A’s final competition of the season and it was fantastic! Then it went on our mini vacation with us. By the end of our trip to Florida, I was very happy with the purchase. Be warned, though. It’s a bit addicting – there is a reason Ju-Ju-Be bags are so popular. They really are incredibly functional, even when cloth diapering (re: extra bulk). 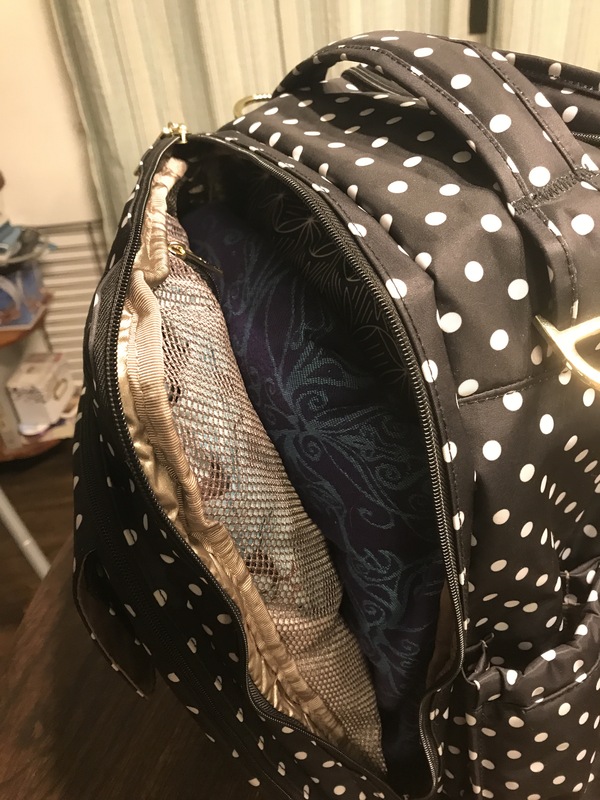 I watched several YouTube videos (like this one) on how to pack a BRB for maximum use. Then, I set to work. I used it for the week between competition and Florida so that I could work any kinks out. 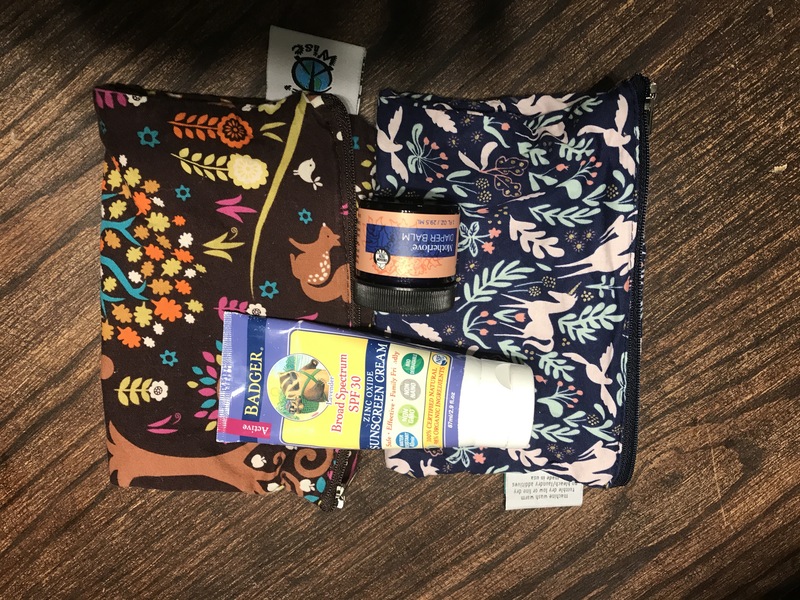 I also grabbed one of those Huggies pouches for wipes (turns out it is great for cloth wipes too). 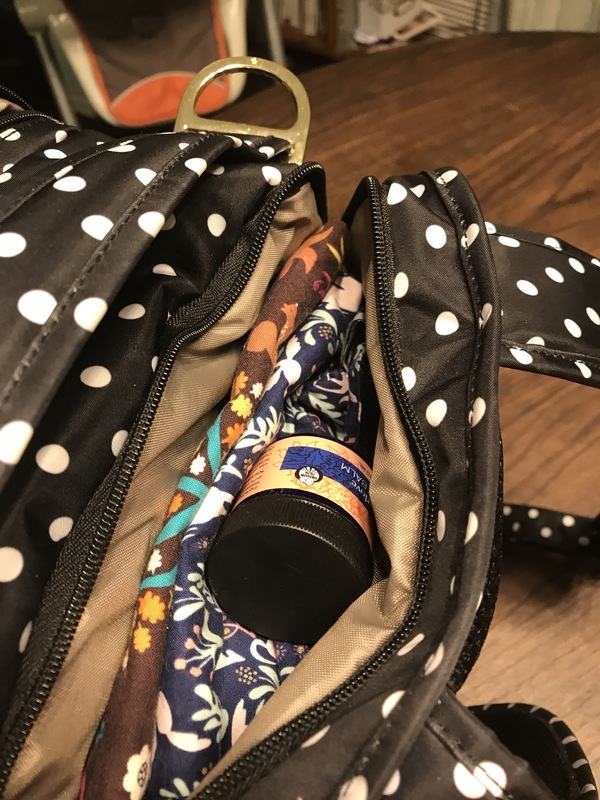 …and how I packed it! When packing the Be Set pieces, I used them for diaper changes, toys and a bib/spoon combo. This allowed quick and compartmentalized access for a single need. Nothing got lost and I was a bit in awe of how easy this was. 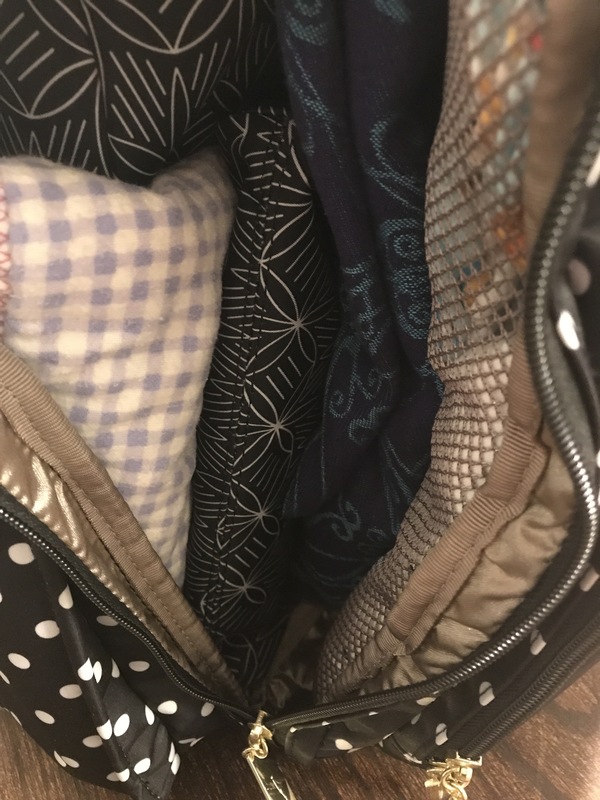 The pattern easily matched my wardrobe for the entire week (if that’s a concern for you) and the Mommy pocket is amazing. I love that the Key Clip is there. We drive an Odyssey with a remote start button and my keys just stayed clipped. I didn’t go searching for them when we got home and they weren’t in my way. 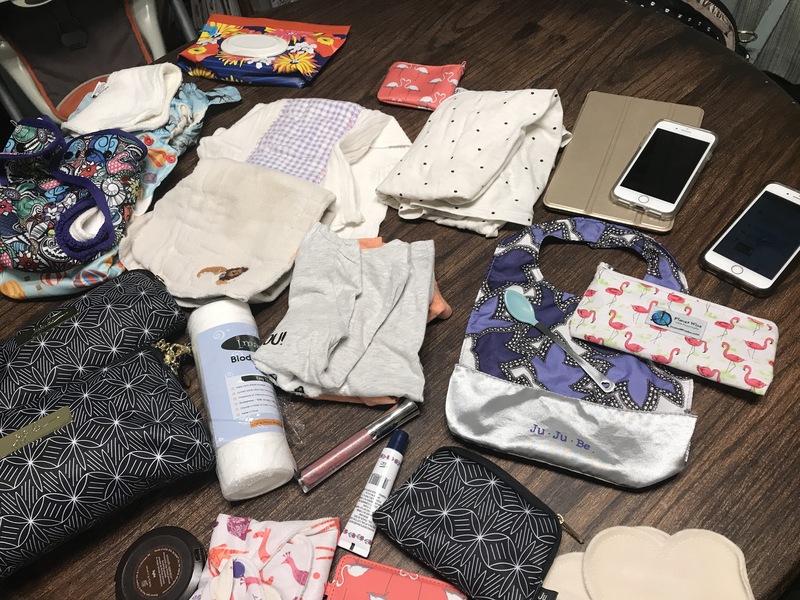 I wasn’t even overpacked even though I had enough for 7 diaper changes! Those Be Set pieces are fabulous. 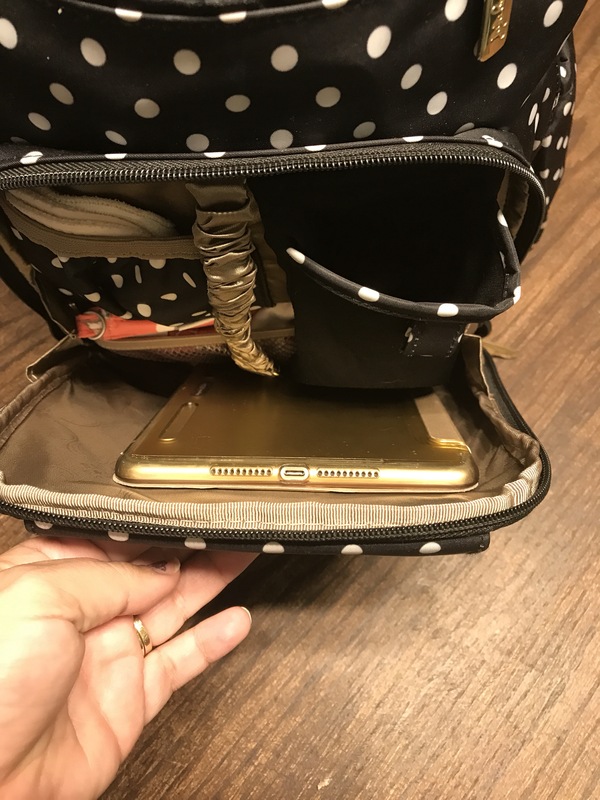 The front pocket has a magnetic closure – it was the perfect spot for our tickets and my id to go while going through the airport. 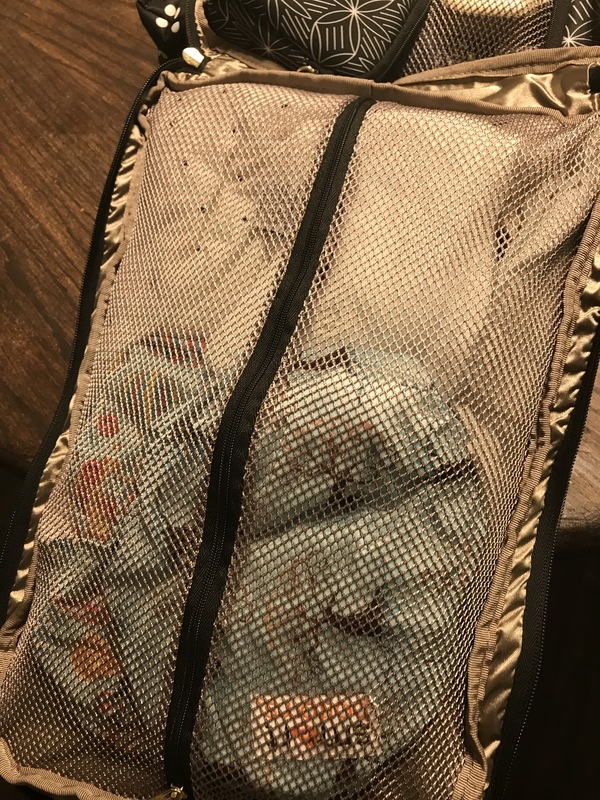 My ring sling fit – double win for traveling with a stroller. 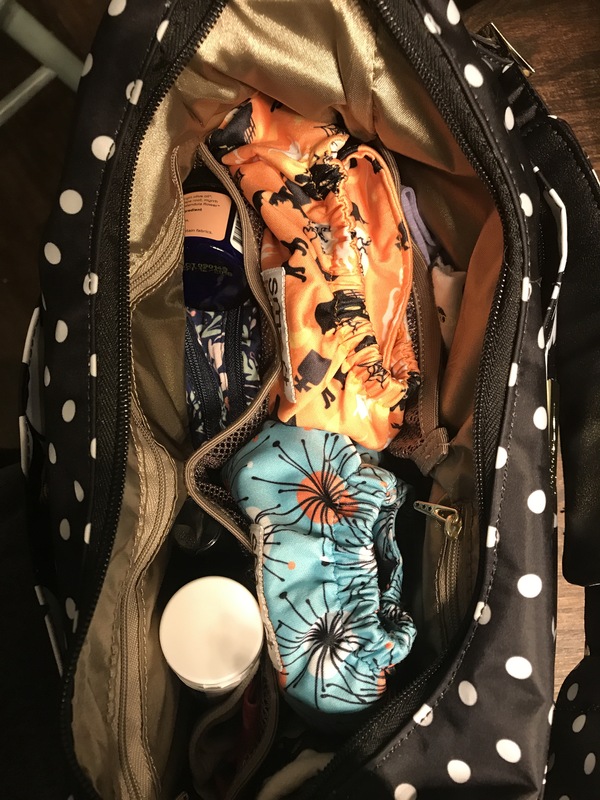 Even when I didn’t have this loaded, it was an amazing bag and didn’t feel empty. That was pretty amazing. This could totally work for moms with lots of tots. I’ll be using this bag even after C is out of diapers. It’s just a great bag. It fits beautifully under the airplane seats and holds so very much. Did I mention Machine Washable? Hello awesome! Now… who’s ready for a giveaway! 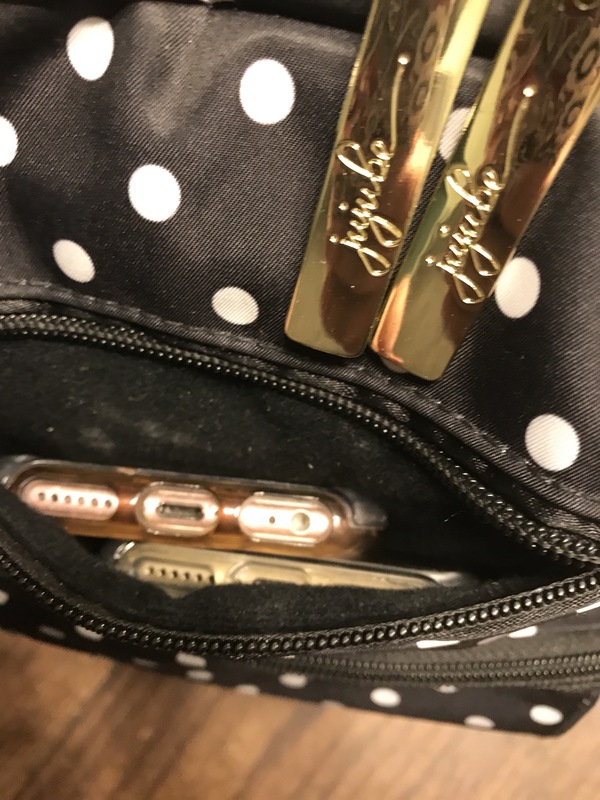 I received a coin purse from my favorite store (rather two) and I obviously don’t need two. So, for you fabulous readers, I’m giving one away! There are a couple of options for entering. Click here! I saw these bags at your favorite store. I wish we had more of a need for one because they are so awesome! These are amazing. Somehow the entire review didn’t load – weird. It’s updated now. 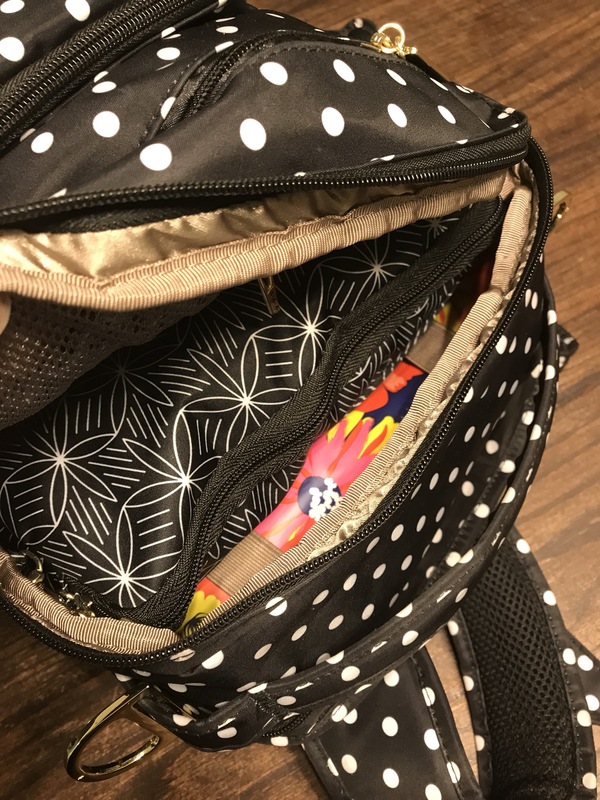 Be sure to enter to win a JuJuBe coin purse!